When CBS Sports wanted to create an exciting new graphic package for the 2011 U.S. Open, they teamed up with Manhattan-based Click 3X, a full-service creative group specializing in on-air promotion and network branding. 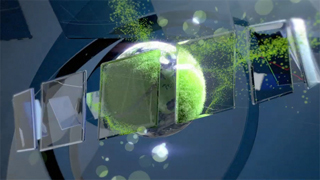 Click 3X was tasked with essentially revamping and rebooting the entire package of elements that the network had been using for the past five years in conjunction with this annual event, the fourth and final part of the tennis season's Grand Slam (which includes the Australian and French Opens and Wimbledon). Xytech, the global leader in facility management software for the broadcast and media services industries, announced today that AEG Digital Media is implementing MediaPulse. The Los Angeles-based, multi-platform media services company selected Xytech's powerful platform to manage its facility scheduling, teleport services, and media fulfillment operations. Broadcast design & animation studio motion504 recently completed a comprehensive, on-air branding campaign for Syfy to promote its slate of Monday night programming, called "Powerful Mondays." 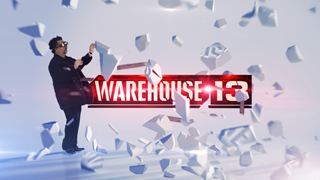 "Powerful Mondays" marks the return of "Eureka" and "Warehouse 13," plus the premiere of Syfy's new original series, "Alphas." It is the network's biggest night of scripted original programming, and Syfy wanted to create a custom version of the Syfy brand to fit each of the shows and to do something fun for summer. Award-winning post production house Company 3 completed work on the Beastie Boys' latest music video "Don't Play No Game That I Can't Win (featuring Santigold)." Billed as an "action adventure spectacular," the video, directed by Spike Jonze, features the legendary hip-hop group as action figures in the middle of a performance when a ruthless band of assassins tries to kill them. The trio escapes via a zipline, commandeer a Jeep and lead the assassins on a wild chase where the group encounters everything from a submarine to a shark attack. NYC-based Nice Shoes recently purchased the new SCANITY, a revolutionary high dynamic range, 2K/4K electronically pin-registered scanner from Digital Film Technology (DFT). "SCANITY is a logical upgrade for the company which has had a long relationship with DFT. They made the original Spirit telecine, and we've been using the Spirit 2, so we've worked with them since 2000," explains partner/colorist Chris Ryan. "We like their technology and trust them, so it just made sense." "We're committed to capturing the full resolution and dynamic range of film, while ensuring the steadiness of images," notes Managing Director at DFT Digital Film Technology Stefan Kramper. "We're proud of the product's increased efficiency and are enthusiastic about continuing our long-standing business relationship with Nice Shoes."